Will swallow bugs harm humans? We are often asked if the swallow bug parasites in cliff swallow nests on buildings will come into a home and infest humans. They will not. Although swallow bugs resemble bed bugs and are closely related to them, the swallow bug’s ecology is very different from that of bed bugs. They are not adapted to mammalian blood and cannot persist for long on mammals. They will bite researchers when we handle them or handle cliff swallow nests, but they will not seek out humans for blood meals. There are occasional reports of swallow bugs coming into a building, usually because of a disturbance to the birds' nests where the bugs reside or because of unusually warm spring weather that brings the bugs out of diapause early before cliff swallows return. However, they cannot survive for prolonged periods in the warm environments inside houses, unlike human bed bugs. Swallow bugs are not a threat to you if cliff swallows nest on your house. How can I discourage cliff swallows from nesting at a site? Cliff swallows are federally protected, migratory songbirds, and it is a violation of state and federal laws to harm them or interfere with their nests while they are breeding. To discourage them from nesting at a site, old nests can be removed during the non-breeding season (that is, only in winter when no cliff swallows are present). The removal of nests will sometimes cause the birds to re-locate elsewhere. Once the birds return in the spring, no interference is allowed unless you receive a permit. Presence of colonies on highway bridges sometimes conflicts with road construction and bridge maintenance. Construction can cause nest loss or abandonment due to vibration, noise, or obstruction of the birds’ access. Efforts to reduce conflicts include re-scheduling highway construction to non-breeding times of the year, using plastic netting or barriers, broadcasting alarm calls to prevent settlement during construction, and installing Teflon sheeting to nest-attachment areas to block the birds' access. Most measures have had only mixed success at discouraging nesting, and we do not recommend enacting any of these methods once birds are present at a colony site. How can I encourage cliff swallows to nest at a site? We still do not understand completely why cliff swallows choose (or do not choose) particular places to live. Attempts to entice them to settle at a particular site by providing wet mud have not been successful. In some cases, artificial nests and half-nests made out of plaster or stoneware clay have been installed on the sides of buildings to provide safer nesting sites that are less likely to fall (see www.swallowconservation.org/enhancing-cliff-swallow-habitat). Birds in Massachusetts, Pennsylvania, New Jersey, and California readily occupied plaster or clay nests, but in Nebraska plaster nests were often ignored for several years before being occupied. Installation of artificial nests is unlikely to be an effective management strategy unless also accompanied by house sparrow control, because sparrows quickly become established in plaster nests. In rare cases, entire structures dedicated specifically to cliff swallows have been constructed, in hopes of the birds’ re-colonizing areas or shifting off of structures where they are unwanted. 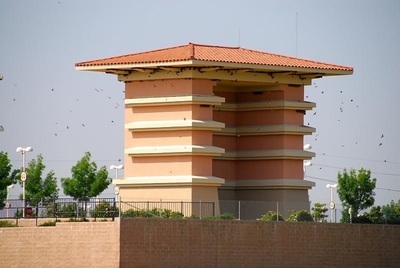 A dedicated cliff swallow nesting structure was built at Thunder Valley Casino in Lincoln, California, which attracted birds in large numbers. 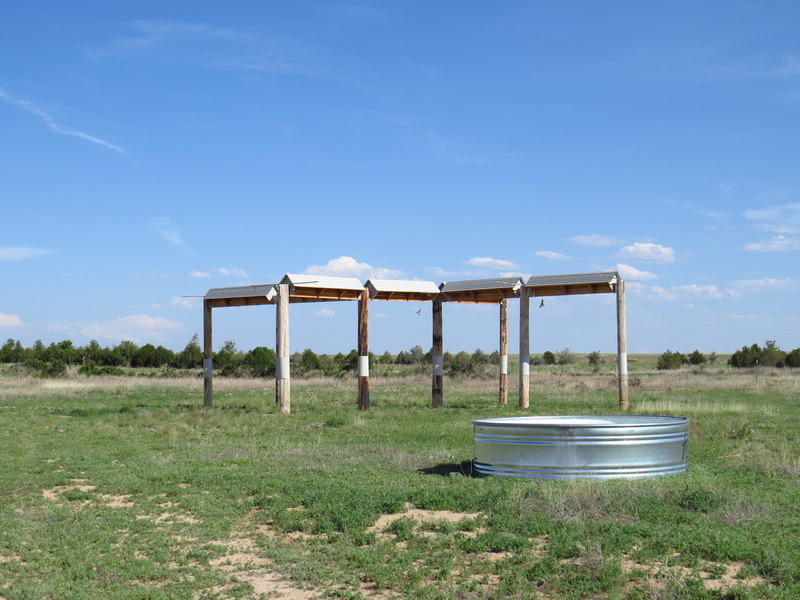 Another nesting structure to entice cliff swallows away from sites where they were unwanted was occupied by the birds at Fort Carson, Colorado. 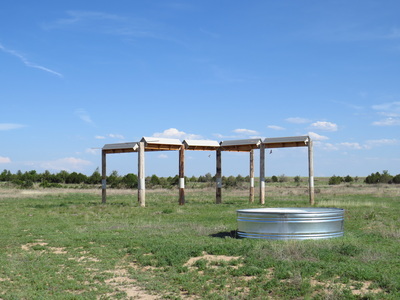 The nesting structure was designed and constructed by James Kulbeth, Directorate of Public Works Environmental Division biologist at Fort Carson. Kulbeth glued real nests to the structure, and cliff swallows readily occupied the colony site. This type of structure is quite promising. ​What is the status of cliff swallows at Mission San Juan Capistrano? Here is an Audubon article on artificial nests at SJC for further reading. Cliff swallows are famous for their legendary return to Mission San Juan Capistrano in California on 19 March each year, and at one time hundreds of nests could be found on the Mission buildings. As the surrounding landscape has become more forested, fewer birds have returned to the San Juan Capistrano region, and there have been few natural nesting attempts at the Mission during the last 20 years. We are working with the Mission to try to restore cliff swallows to the site. Previous attempts to attract swallows with playbacks of vocalizations, a project begun in 2012, were unsuccessful. 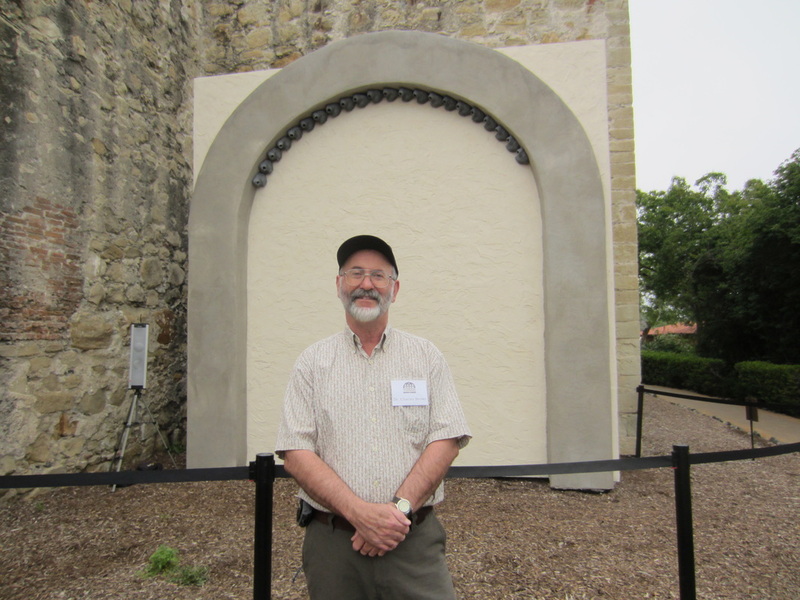 More recently, Mission San Juan Capistrano unveiled an artificial wall, complete with plaster nests, in our latest attempt to entice cliff swallows back to the mission grounds. The plaster nests were made using a latex mold from a nest in Nebraska, and an artificial wall was constructed so that the nests would not have to be attached to the historic Mission buildings. 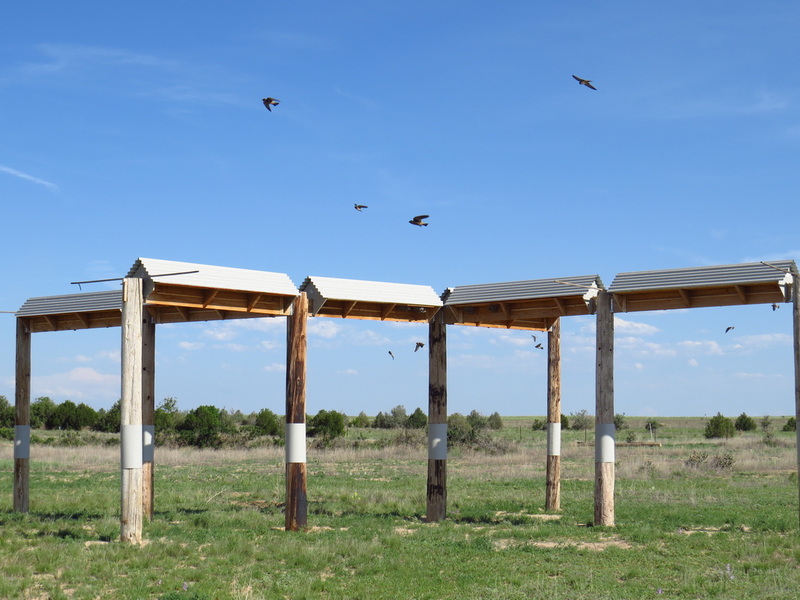 The nests were unveiled during the 2016 Swallows Day festival on March 19, a day-long celebration of the birds and the Mission held each year. The plaster nests have not yet been occupied, but in 2017 two pairs of cliff swallows nested elsewhere at the Mission.